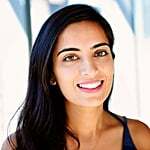 2018's Hottest New Accessory Is Here, and We're Calling It the "Scrunchie Bag"
If you're anything like us, you like to be one step ahead of everyone else when it comes to fashion trends. For this reason, we thought we'd let you in on what we think is going to be 2018's hottest accessory: the "scrunchie bag." We first saw this trend with The Row's Double Circle Bag ($1,850) and, soon after, other brands like Zara, Staud, and Loewe followed suit. 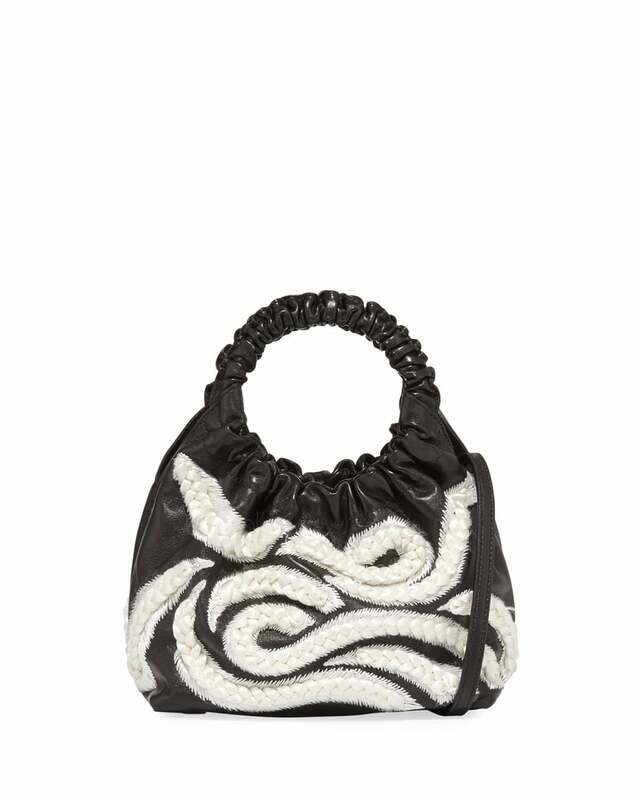 We decided to call this recognizable design the "scrunchie bag" for its playful, gathered center and retro '90s flair. Keep reading to see how street style stars have been carrying this must-have accessory, and shop out some of our favorite pieces ahead. 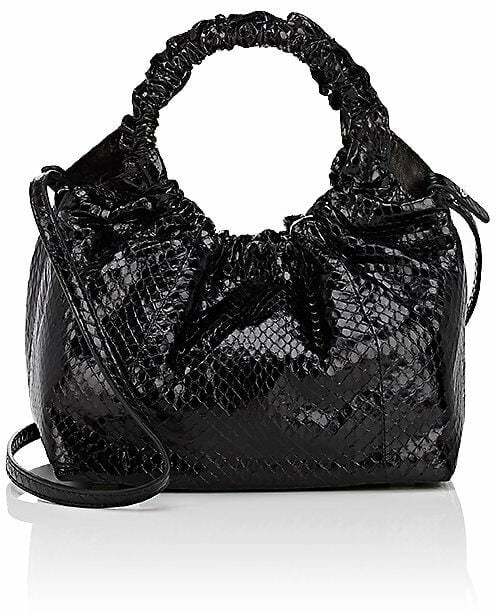 The Row's Double-Circle Small Bag ($3,250) comes in a luxurious python material. 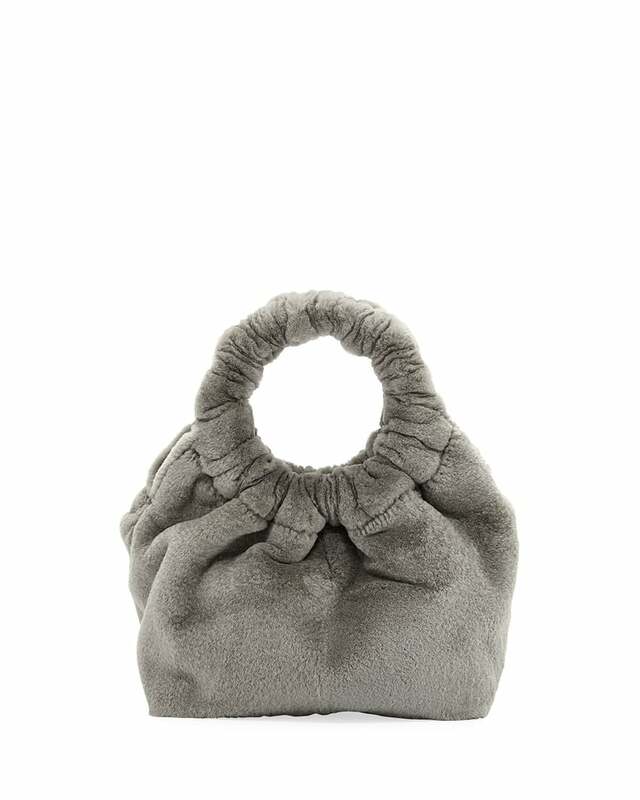 How cute is this The Row Double Circle Small Handle Bag ($3,890)? 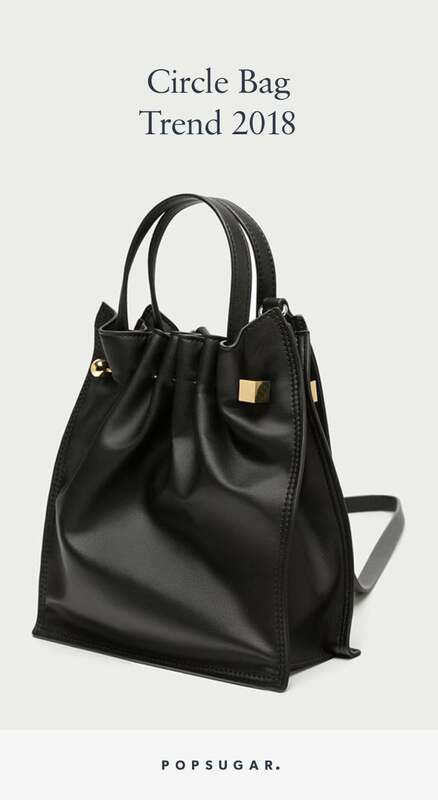 For a sleek and simple style, opt for this Zara Medium Tote Bag With Dowel ($26, originally $40). 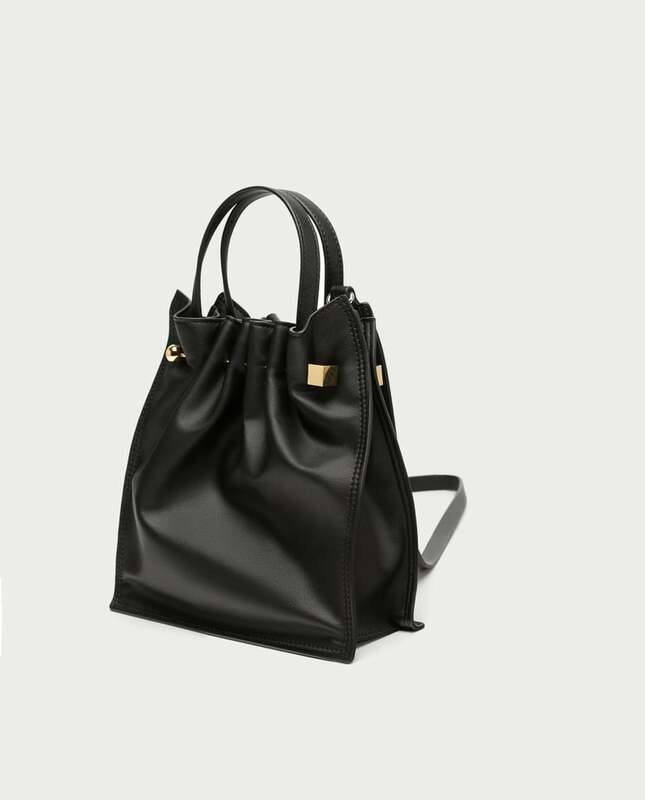 You can carry this Loewe Black Large Bounce Bag ($1,395, originally $2,325) two ways. 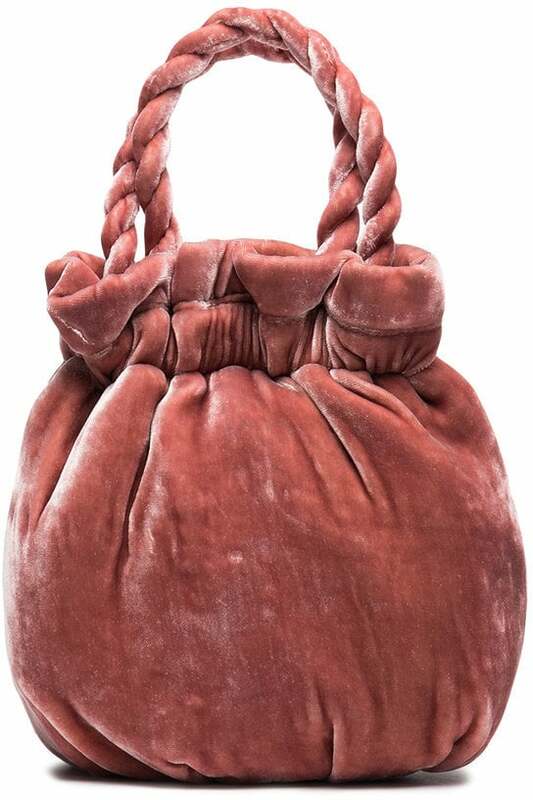 Look pretty in pink carrying this Staud Small Velvet Grace Bucket Bag ($276). 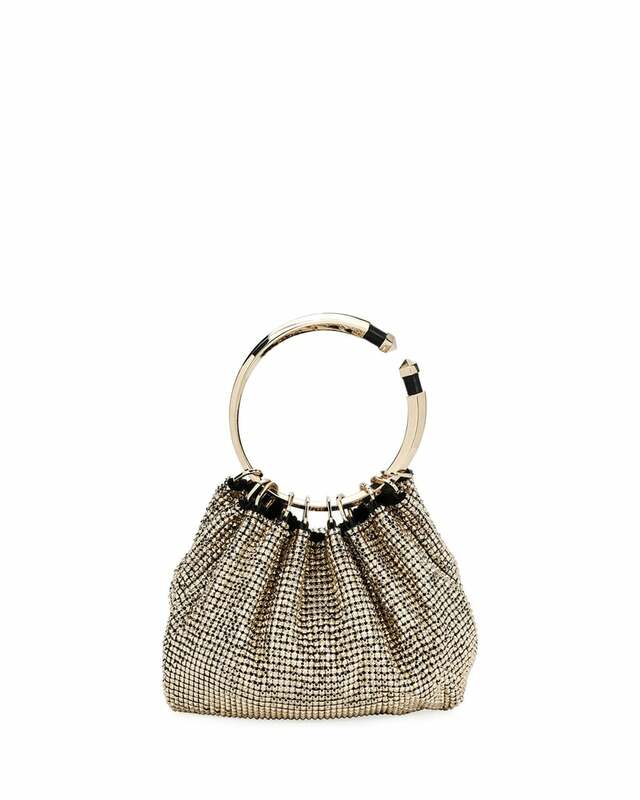 For a sparkly option, carry this Valentino Bebop Ring Loop-Handle Clutch Bag ($3,045). 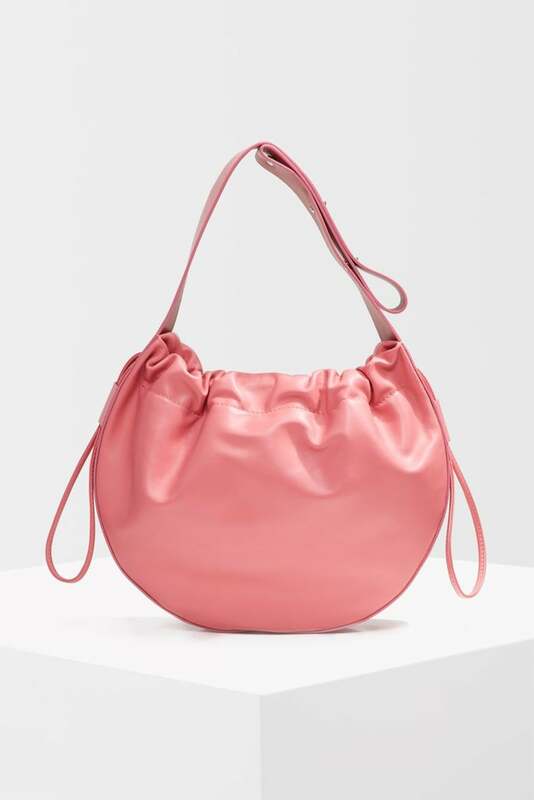 Fit all of your essentials in this pink Topshop Premium Leather Drawstring Bag ($60, originally $150). 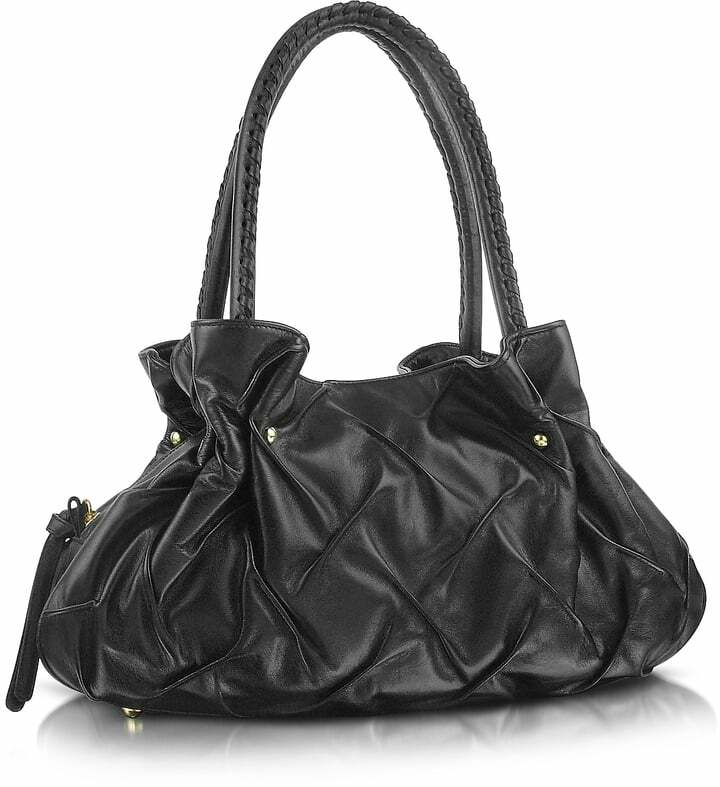 This Fontanelli Pleated Nappa Leather Satchel Bag ($545) features braided handles. 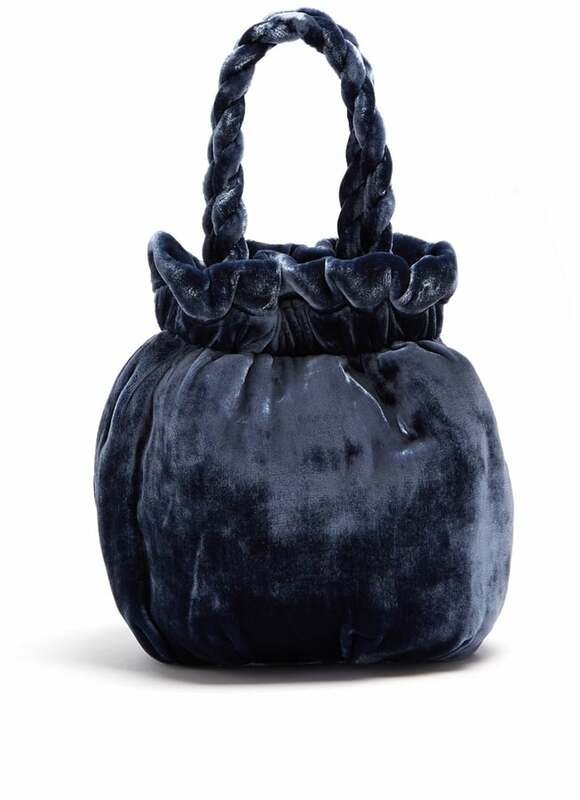 Style your LBD with this navy Staud Small Velvet Grace Clutch Bag ($250). 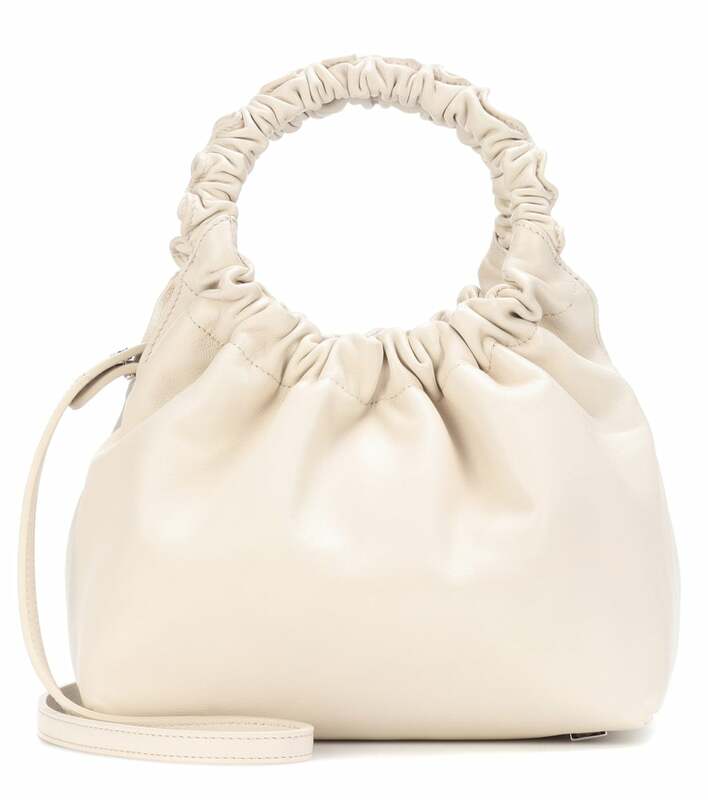 For a sleek option, try this white The Row Double Circle Small Top Handle Bag ($1,850). The Row's Double Circle Small Embroidered Top Handle Bag ($4,950) features an intricate design. 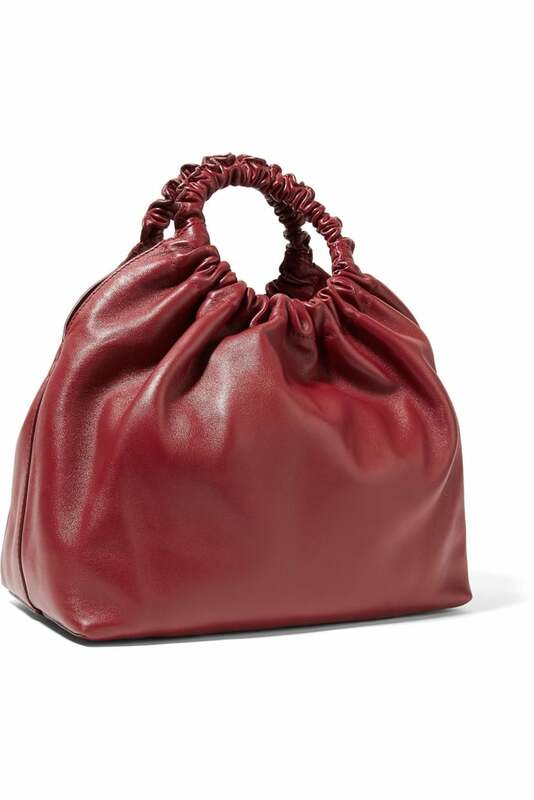 For a larger style, opt for this burgundy The Row Double Circle Medium Leather Tote ($2,150).